Swing Group rehearses every Wednesday during term time from 7pm-9pm in the Dalton Room. The ensemble consists of saxophones, clarinets and a rhythm section. There are approximately 20 members, playing a variety of swing music. 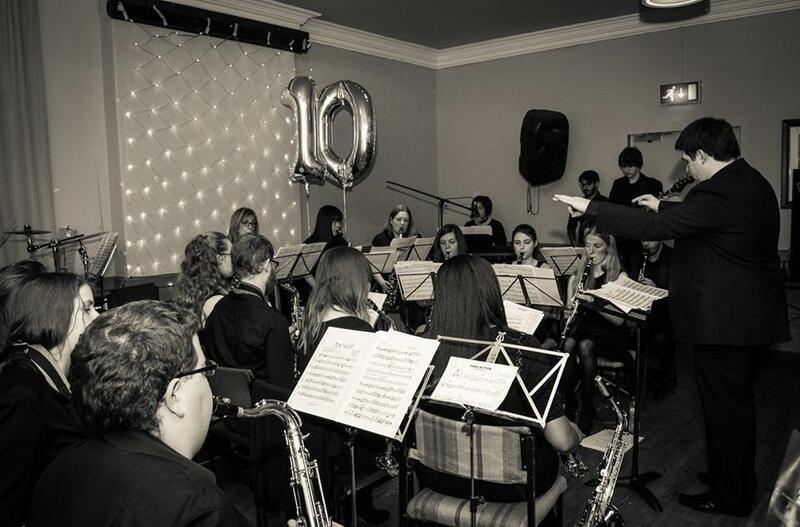 Swing Group is a non-auditioning ensemble which provides extended playing opportunities for musicians who enjoy this type of music, as there are limited places in the auditioned Big Band. If there is more than one pianist, bassist, or drummer who wishes to play the position is usually shared. Singers are usually auditioned in the first few weeks of Michaelmas term each year. In 2015 Swing Group celebrated their 10th Anniversary as a major ensemble by holding a 10th Anniversary Concert at the Park Hotel. As well as playing with their usual conductors, this concert gave the opportunity for conductors from the past few years to come back and conduct the band. In addition to this, Swing Group also played with Big Band at the Big Swing in Dalton Rooms and on the main stage at Campus Fest. This year again, Swing Group played with the Big Band at the Big Swing concert. The Swing Group Rep for 2019/20 is Katie Farr, who can be contacted via swing@ulms.org.uk.